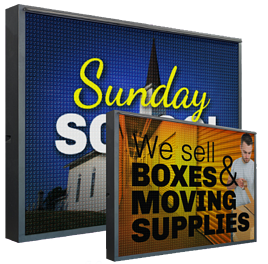 Here at AdChoice LED Signs, we understand the value of efficient advertising and ensuring it positively affects your bottom line. That's why we offer 0% interest financing for up to 24 months--this means you could boost sales for as little as $5 per day! Fill out the form on the right or call us at 800-379-0256 to apply today. We are happy to find you the most affordable solution for your budget.